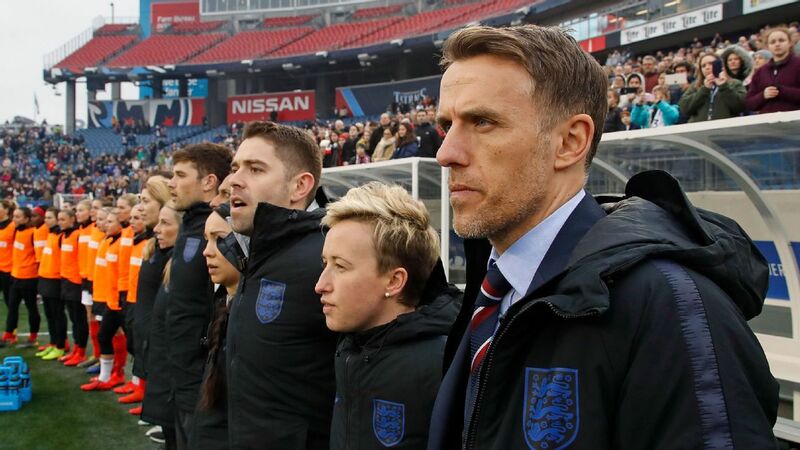 Phil Neville took charge of England Lionesses last month. Phil Neville has named Anita Asante in his first England Women squad, with the Chelsea defender called up for the first time since 2015. Asante's fellow Chelsea defender Hannah Blundell and Everton's Gabby George could win their first caps in the SheBelieves Cup in the United States next month. Captain Steph Houghton is included in new head coach Neville's 23-player squad despite nursing an injured foot. 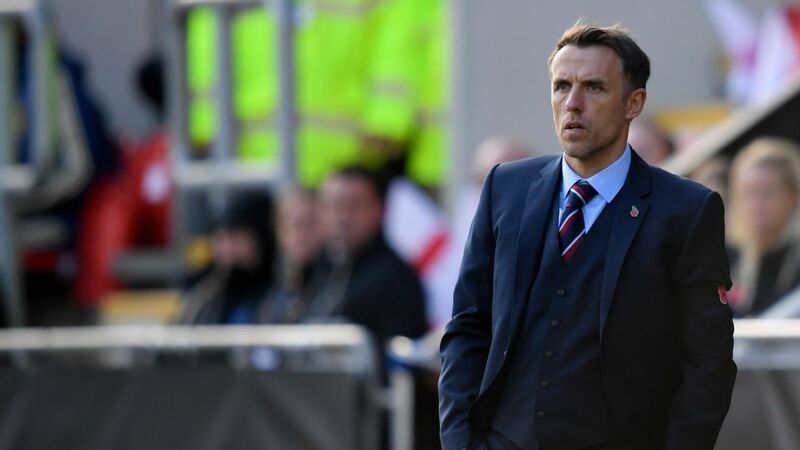 Neville's squad will meet in London this week before jetting out for the four-team contest comprising the hosts, France, Germany and England. "I have been really impressed by what I have seen in the past few weeks," said Neville, who took charge of England Lionesses last month. "Some exciting young players have caught my eye, and not just those that have been picked for this squad. "They will get an opportunity in the coming months to challenge the established players who, of course, deserve big respect for what they have done to take this team to third in the world. "I also hope this squad shows that the door is not closed to anyone, and that those in form will always have a strong chance of being picked." Arsenal's Leah Williamson will travel with the squad to continue her development in the England set-up, but will not be available for the three fixtures. England's third involvement in the annual contest will be key preparation for April's 2019 World Cup qualifying clashes against Wales and Bosnia. Mo Marley will assist Neville on an interim basis, with a permanent assistant not expected to be appointed until the summer. 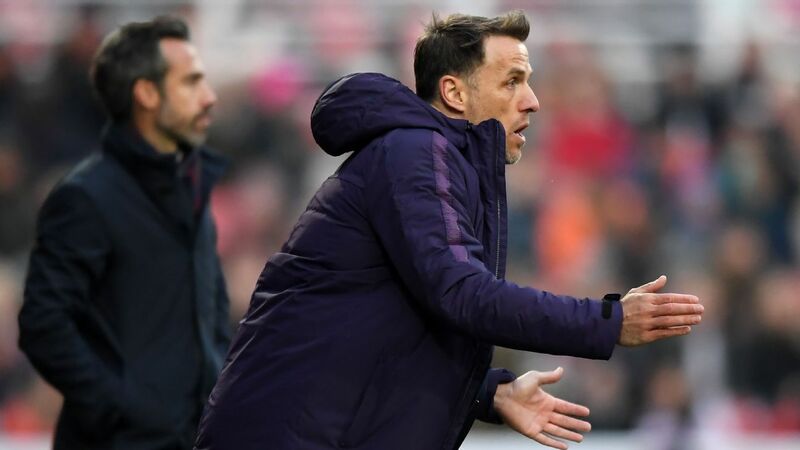 Former England captain Casey Stoney will also join Neville's backroom staff, having this week retired from a playing career that included 130 Lionesses appearances. "To those that have just missed out this time, I hope they use that disappointment in the right way to force their way into contention," Neville said. "We want to go to the SheBelieves Cup with a positive approach and then kick on into the World Cup qualifiers." Goalkeepers: K Bardsley (Manchester City), S Chamberlain (Liverpool), C Telford (Chelsea). Defenders: A Asante, H Blundell, M Bright (all Chelsea), L Bronze (Lyon), G George (Everton), A Greenwood (Liverpool), S Houghton (Manchester City), D Stokes (Manchester City). Midfielders: I Christiansen (Manchester City), J Nobbs (Arsenal), J Scott, K Walsh (both Manchester City), F Williams (Reading). Forwards: K Carney (Chelsea), T Duggan (Barcelona), F Kirby (Chelsea), M Lawley (Manchester City), N Parris (Manchester City), J Taylor (Melbourne City), E White (Birmingham City).